Van Ness Chiropractic understands the best ways to manage musculoskeletal injuries without the need for medication or surgery. Without proper care, auto injuries can have a serious impact on one’s health, leading to months or even years of chronic pain. Are you suffering from any sort of neck, back, or extremity pain after a car accident? If so, you may have sustained a spinal or whiplash injury. 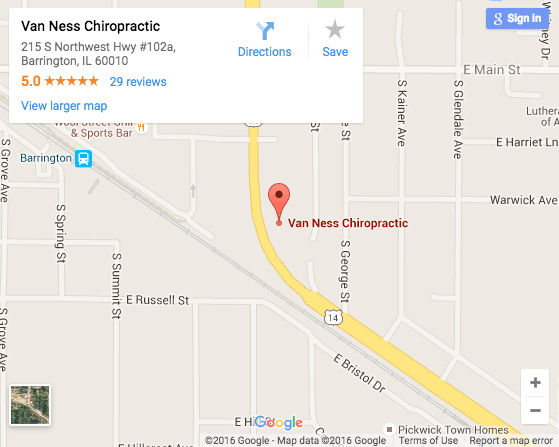 Van Ness Chiropractic has over 19 years of experience treating auto injuries and we would be happy to help you. Many people suffering from the effects of whiplash are unaware of their injury at the time of the accident. There are so many vital nerves, muscles, and blood vessels located in the neck that even a minor sudden jolt can cause damage. Whiplash occurs when the force of an auto accident knocks or whips the musculoskeletal system out of proper alignment. This abrupt movement also simultaneously strains neck muscles, causing more stiffness, soreness, and pain. Chiropractic adjustments relieve pressure on the nerves and muscles, while also bringing alignment back to the spine. Additional treatments, like medical massage therapy and personalized rehabilitation protocols, help to bring full range of motion back to the neck, back and extremities. While medication helps to relieve pain, chiropractic care treats the underlying injury, bringing mobility back to the body. Remember, even a slight jolt to the neck that goes uncorrected can result in problems later on. Chiropractic care for auto injury is the most effective way to manage these symptoms and support the body’s natural healing process. If you have recently been in an auto accident, we here to help. Contact us today to learn more about the benefits of chiropractic care for auto accident injuries. Integrating chiropractic care, massage therapy and customized rehabilitation protocols is the most effective way to manage these symptoms and support the body’s natural healing process. If you have recently been in an auto accident, we are here to help. Contact us today.